Over the past several years many of the wonderful Local Businesses I enjoyed have closed. I know the importance of Shopping Local and try to inform others about the many reasons we should support all these wonderful shops. These small businesses are what make each town unique and special. 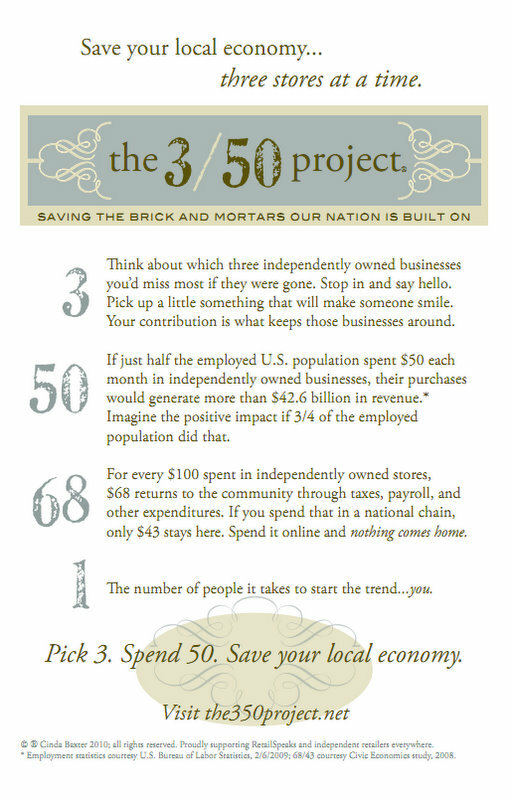 The 3/50 project is a wonderful organization who is helping people understand why shopping local can be easy and very rewarding. Please take a moment to view their website and pass on the info to some friends. Together we can make a difference. by Crystal Connection in You're Alive! But what does that mean? The Year of the Dragon will be a year full of Energy, Enthusiasm and Dreams coming True! Of the 12 signs of the Chinese zodiac the Dragon is the most special, bringing Us the Four Blessings of the East: Wealth, Virtue, Harmony and Longevity. The Dragon is in fact the major symbol of good fortune in Chinese Astrology so it’s Appearance is much welcomed and needed after the difficulties the Economy has faced in recent years. The Fact that 2012 is also a water year is very important as well. 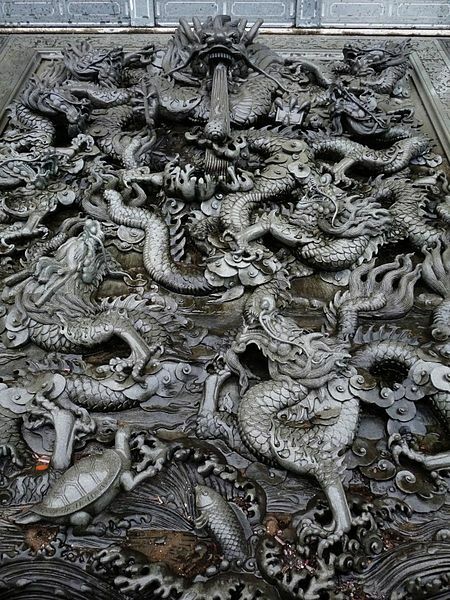 Water nourishes the Dragon’s fixed element, Wood, giving this year’s Dragon more power to bring Luck and also Accomplishments. The year 2012 is not only a lucky Dragon but also the end of a destructive cycle. Ever since 1996 the year element has been in a destructive relationship with the fixed element of the animal sign. That is the longest unfavorable period in the 60 year cycle of Chinese Astrology, and that means a scarcity of good luck. So, Welcome Water Dragon! It is likely to be an exciting year indeed with all kinds of celebrations. This year things will move, ideas flow, creativity abound, economies boom, and love blossom! Are you Ready? “ Empty your mind, be formless. Shapeless, like water. If you put water into a cup, it becomes the cup.You put water into a bottle and it becomes the bottle.You put it in a teapot, it becomes the teapot. Now, water can flow or it can crash. There seems to be a trend in New Year’s Resolutions , with Saving more Money being on top of most people’s list. Most Financial Advisers say you should have a rainy day fund of at LEAST 3 months of your income, and that is just a starting point. Although I agree with them, when you are living in the moment and trying to “Be Here Now”, it is hard to remember why this goal would be an important one to have. I mean, why put 4 dollars into savings when buying a White Chocolate Mocha offers me some instant gratification? Well, let me introduce you to these fun little Money Holders! 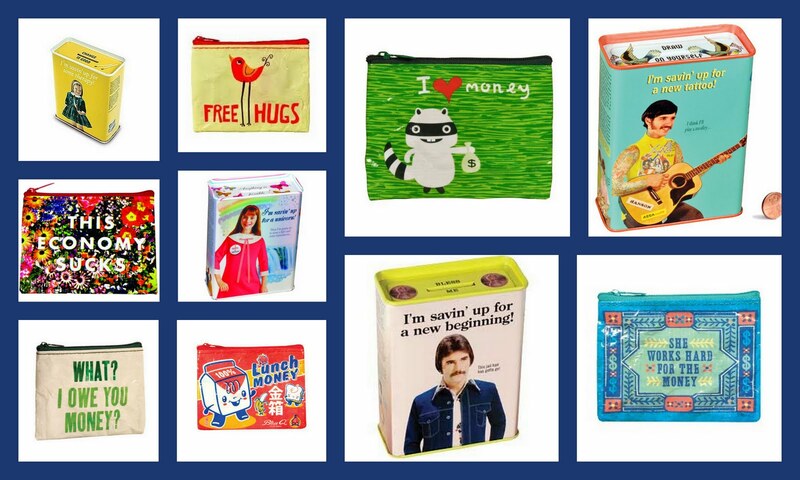 Now Saving can be Fun too! Most people do not feel richer when they get small pay raises because they just kind of spend a little more, so once you start saving you will not feel constrained….you will simply spend a little less. I like to challenge myself to come up with fun ways to save a little more, while having fun doing it. Instead of a night out with friends, try having a potluck and everyone stay in. Instead of going to the movies, plan a fun night of hanging out watching some great classics. By the end of these evenings you have had some real quality time with your friends, and saved some green along the way!